This week’s Blu-ray releases for March 17th, 2015. This week’s Blu-ray releases for March 10th, 2015. 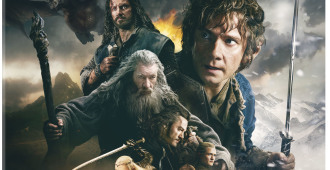 Coming to Blu-ray on March 24th, 2015 is THE HOBBIT: THE BATTLE OF THE FIVE ARMIES. This week’s Blu-ray releases for February 17th, 2015. 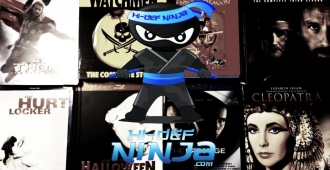 HiDefNinja.com publishes new pre-orders available for the week of 2-13-15. This week’s Blu-ray releases for February 3rd, 2015. This week’s Blu-ray releases for January 26th, 2015. Amazon’s new Blu-ray pre-orders for the week of January 16th, 2015, as published by Hi-Def Ninja. This week’s Blu-ray releases for January 13th, 2015. This week’s Blu-ray releases for January 6th, 2015. Amazon’s new Blu-ray pre-orders for the week of January 2nd, 2015, as published by Hi-Def Ninja. Amazon’s new Blu-ray pre-orders for the week of December 12th, 2014, as published by Hi-Def Ninja. This week’s Blu-ray releases for December 9th, 2014.